The famous Valley of Geysers wildlife sanctuary in Russia’s Kamchatka Peninsula has announced a “month of silence” to prevent tourists from meddling with animals’ spring mating games - particularly bears, which get extremely aggressive at that time. ­Visits to the Valley of Geysers, Death Valley and the calderas of the Uzon volcano would be limited to a bare minimum since rare animals and birds are preparing to bring forth newborns. The world-renowned Valley of Geysers is the second-largest known geyser field on our planet. Its basin is some 6 kilometers in length. It has approximately 90 geysers, many hot springs and even a small river of geothermal waters. The Valley of Geysers is a part of the Kronotsky Nature Reserve incorporated into the “Volcanoes of Kamchatka” World Heritage Site. 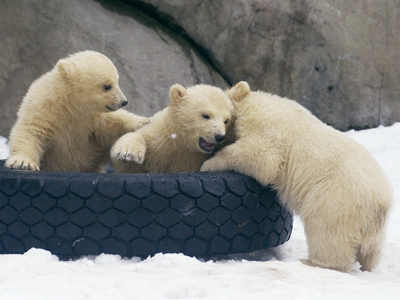 Press secretary of the sanctuary Maria Vorontsova told Interfax news agency that “bear weddings need no witnesses,” as large male bears, which can be particularly belligerent during the breeding season, could pose a threat to tourist groups. 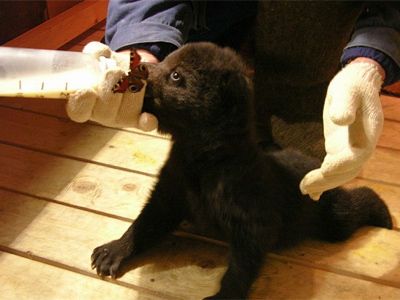 The months of silence have been conducted in Kamchatka’s sanctuaries for the last 15 years. 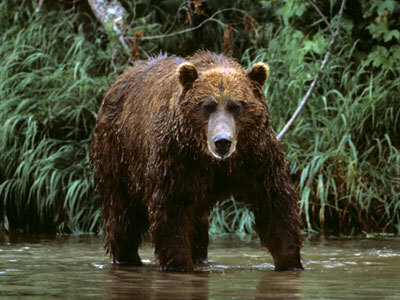 The estimated population of Kamchatka brown bears is about 18,000. Some bears inhabiting the peninsula could be three meters tall when standing on the hind paws and weigh up to 700 kilograms. Practically every year there are incidents with bears attacking humans. This could happen not just in mating season, but also early in spring when bears come out of hibernation being very hungry. Man-eating bears are always been tracked down and killed because once they taste human flesh they stop fearing humans at all and never miss opportunity to taste a “long pig” again. The latest bear incident in Kamchatka peninsula occurred in mid-May in the town of Vilyuchinsk, the base of Russia’s strategic nuclear submarines. A couple of young bears butchered a local man fishing for eulachon (candlefish) from a civil dock. Witnesses called the police and officers tracked down and shot both bears rambling through the town. Police from the Vilyuchinsk Navy military base have to patrol streets every spring to prevent hungry bears just out of hibernation from attacking people.